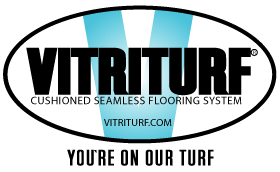 Vitriturf is designed for use under water. 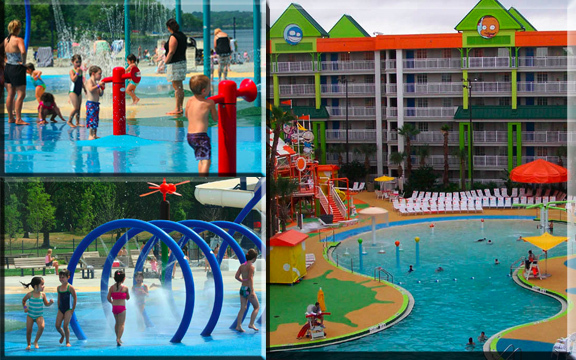 these projects have included situations from zero depth spray pools to amusement park pools and water- jet environments. 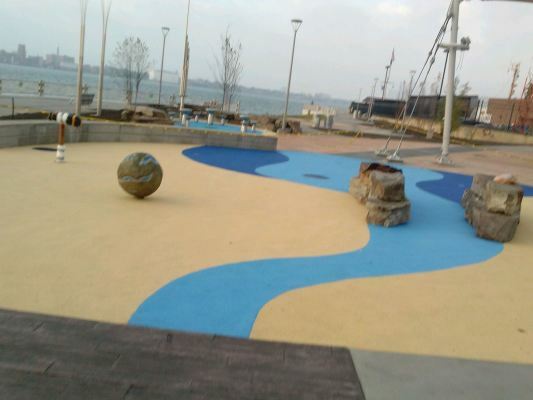 Vitriturf is available in a porous and non-porous surfacing. When the system is porous, the water penetrates between the pores of the rubber, reaches the sub-base and drains. If a non-porous system is desired, the water drains to the sloped determined areas.